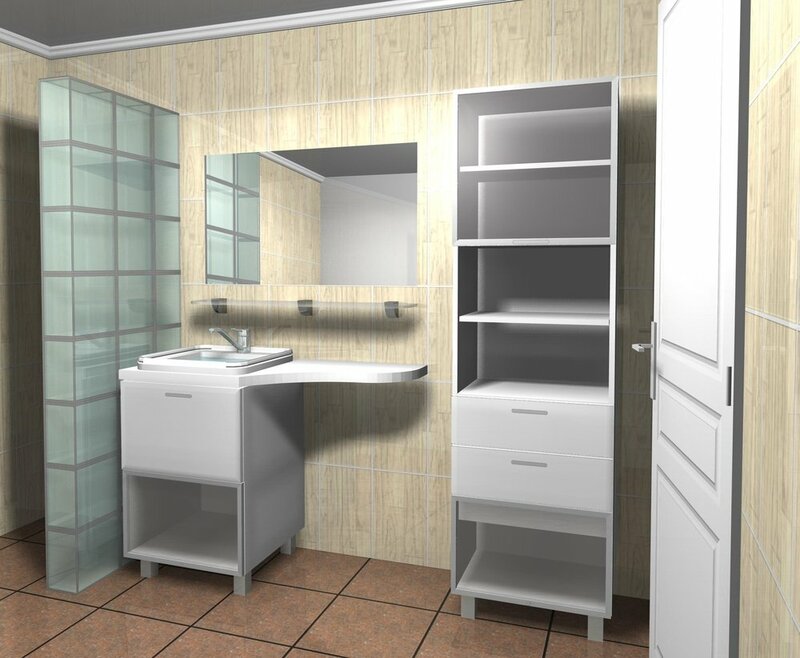 It is said that people usually have to face more challenges while planning for their bathroom storage needs, than any other rooms of their home. Bathroom being one of the smallest spaces of your home need to have proper solution. But if you have very less space left in your bathroom after having all the things organized in the proper manner and you want to place a cabinet in which you will be able to store all your bathroom accessories and clothes, then utilizing some of the corner of the bathroom will be a wise selection. Not only the cabinet will accomplish all your storage needs, but will also give your bathroom a spacious and stylish look. Corner bathroom cabinet is a great addition to every bathroom, whether with limited or handful amount of space. Bathroom is much like a space where family members reveal their whole days stress and get relaxed with the comforting and elegant atmosphere around. Even if you don’t have any corner empty for placing a floor standing corner bathroom cabinet, you can look for the wall mounted ones that are specially designed for saving your floor space. According to your space available, needs and storage requirements look for the one that suits your needs in the best way. Corner bathroom cabinet is a best selection that plays various roles of fulfilling your storage space, maximizing your bathroom space and giving it a more stylish and attractive appearance. You should be very careful while deciding the corner bathroom cabinet for your space, as it should fit ideally with each and every requirement of yours. Firstly, you need to take into account the corner where you want to place your cabinet and measure the space correctly to give your room a spacious illusion. Then look for your storage requirements and accordingly opt for the size of the cabinet, as it should be able to occupy all your clothing as well as other requirements. Then look for the one that matches with your style as well as décor needs, complimenting the overall finish of your bathroom. The corner bathroom cabinet will definitely be able to maximize your space with its unique styling and classic design, so make sure you choose it with proper care and attention. Whether your home is styled traditionally or contemporarily, you will surely get the appropriate match for it, from the thousand of types of corner cabinets available in the market. Whatever style, design and finish you choose, the corner bathroom cabinet is sure to maximize your storage space, increasing the majesty and stylishness of your space.